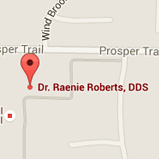 We are located at the southeast corner of East Prosper Trail and Coit Road in Prosper, Texas. We are just a short distance from Frisco, McKinney, Anna, Melissa, Van Alstyne, Denton, Aubrey, Pilot Point, Celina, Gunter, Tioga, Little Elm, Savannah, and Providence Village. Do you allow parents in your treatment area? Yes! We have an “open door” policy that means you are always welcome in our treatment areas. Yes, we accept all major dental insurances. We are happy to file all insurance claims for you. We will let you know your patient responsibility prior to your appointment. How much do you charge for orthodontic new patient exams? All of our orthodontic new patient exams are complimentary. What do I do if my child is sick the day of his/her appointment? If your child is not feeling well, we ask that you reschedule his/her appointment. Not only do we want to keep our staff healthy, but coming to the dentist when not feeling well is no fun! How much notice do I need to give to reschedule an appointment? We ask that you give us 24 hours notice. I need to bring my child in for an exam with both the Orthodontist and the Pediatric Dentist. Can I do that all on the same day? Of course! 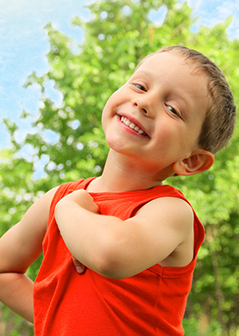 We can schedule your child to see both doctors on the same day. Does your office close in bad weather? We are closed for inclement weather if Prosper ISD is closed. If you have a dental emergency, one of the doctors will do their best to make it to the office.